I’ve been an anime fan for as long as I can remember and I was able to relate with a lot of anime characters, but what I think is amazing about anime is that it can move people. 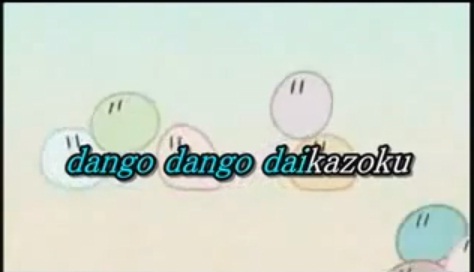 I’ve been surfing anime songs on YouTube and I came across this video of Dango Daikazoku. First thing I’ve noticed is that the comments seem endless. The second is that in few of the comments, I saw that people actually claimed that Clannad changed their lives. Here’s a comment from the said video. As much as I consider anime as a regular part of my life that I probably won’t give up, it’s pretty amazing how anime can actually change few people for the better. Is there an anime that moved you to change your life, dear reader? I don’t see your images or video or whatever those blank boxes are. 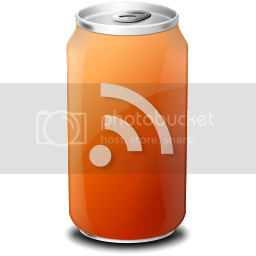 The images show up on me just fine. One anime that changed my life was Ghost in the Shell. I first watched it with my dad when he brought it home from the video store. It was a big reason I got into programming and effected what I strive to achieve in the future. Another big one is Book Girl (the light novel more than the anime though) which made me see everything in a whole new light. It gave me a sense of tragedy and hope. I think a big reason is because every story you read or watch is written by another human being. They recreate their vision into a whole new world and split a piece of their personalities into multiple characters so you get a sense of connection with fictional people. Fictional stories based off a real person’s thoughts. Okay before I go into the question I just want to let you know how great it feels to meet another anime blogger! It seems like we’re scarce among many. Now the anime that changed me the most is the one you’re talking about. This particular anime touched me and I’m stronger in my will to get things done. Naruto has taught me how to never give up on a dream no matter far or out of reach it may seem. Fairy Tail has taught me that anyone you bring into your heart no matter how different you might be, you’re family. I’ve learned a lot over the years with all of my favorite animes and I’m still learning with the today and until I’m too old to see and hear anything anymore. Macross Plus: Did it see the future?